Every woodworker has a most-loved tool. Mine is a small adze, in the Botswana language Setswana, called a petlwana. I use it when I first find an old piece of wood with a promising shape, carving off a little of the weathered surface to have look at the hue and grain underneath. If I carry the piece home, after sawing off un-needed bits, I use the petlwana for for the first, rough shaping of the piece. The petlwana is a true bush tool. Its blades are often made from the sharpened springs of old Land Rovers or Land Cruisers, and inserted into a wooden handle by burning a hole in the wood. 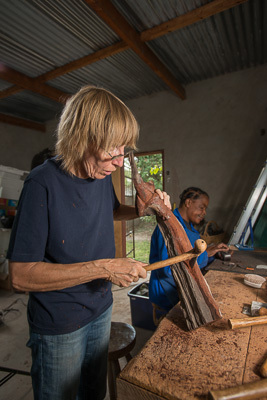 Expert woodcarvers in the area of Victoria Falls produce very nice ones. I use cross cut hand saws to cut the principal shape , as well as the base, of the wood sculpture. 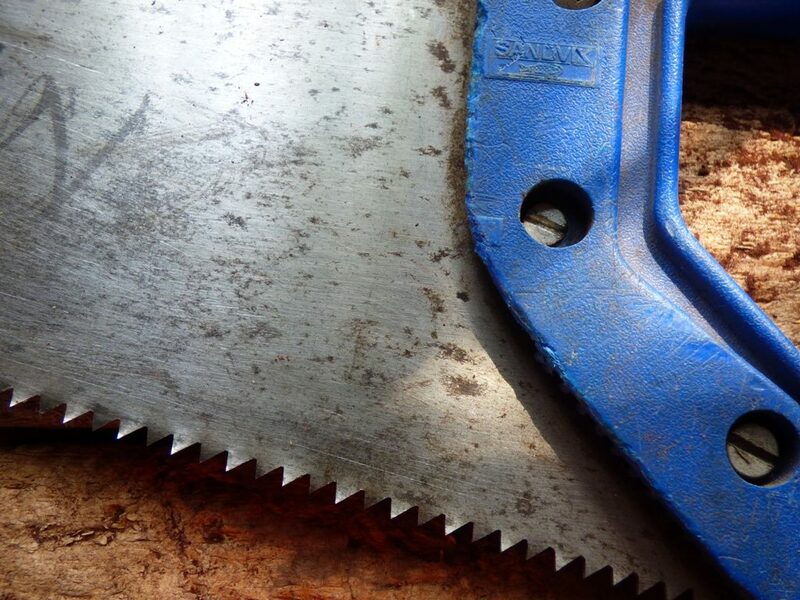 As I work with hard woods that are often heavier than water, the cross cut saw has to be kept very sharp. 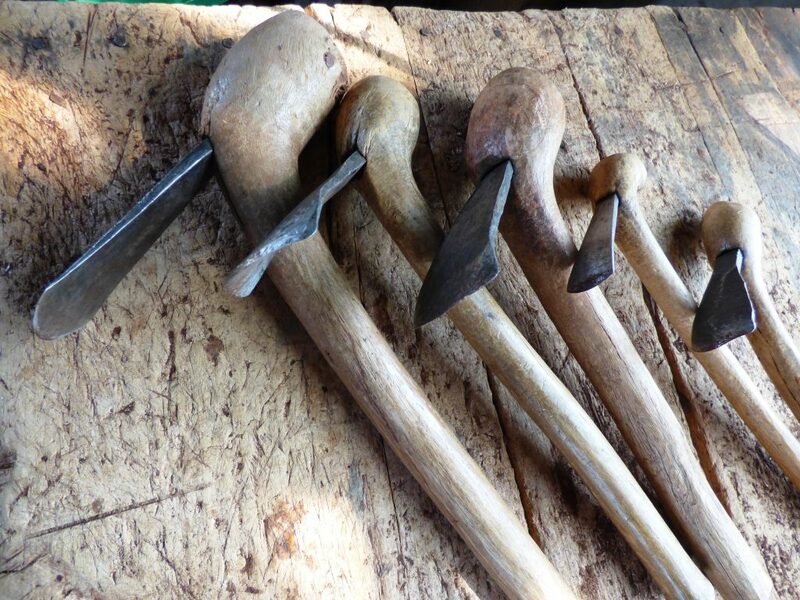 I do finer shaping with straight and curved chisels and a wooden mallet, removing sections of wood by working with or against the grain, often towards the cut that has been created by the cross cut saw before hand. 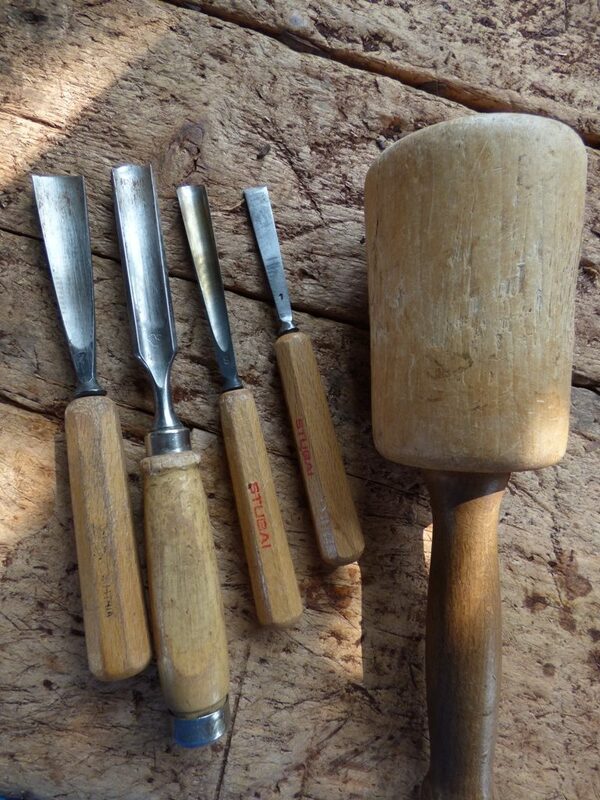 Chisels have also to be resharpened after some hours of work. I use a dry sharpening stone, and sometimes, metal files to get a good edge. This is time-consuming, but pleasurable, work because I know that my tools are waiting for me to begin each new sculpture. When I began to experiment with making miniature versions of my sculptures in sterling silver and bronze, I could see that, after 30 years of carving wood, I had so much to learn. Shadowing silversmiths as they poured molten metal, corrected moulds, and filed tiny imperfections to reflect the shape of the original sculpture, I realised I couldn’t just learn the tricks of the trade – I had to learn the trade. Coming … reflecting the spirit of wood in precious metal.